The Rev. 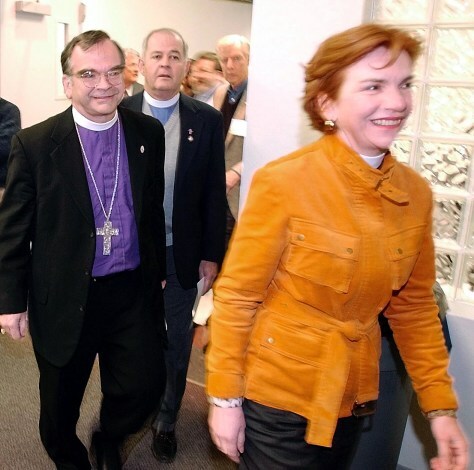 Mary Maggard Hays, right, leads Bishop Robert Duncan, left, and the Rev. Don Currant to a Tuesday news conference after the end of the Network of Anglican Communion Dioceses and Parishes meeting in Plano, Texas.